Uptown living at its best. Chapel Watch is in Fourth Ward at the corner of North Church and 9th Street. Can we say LOCATION? 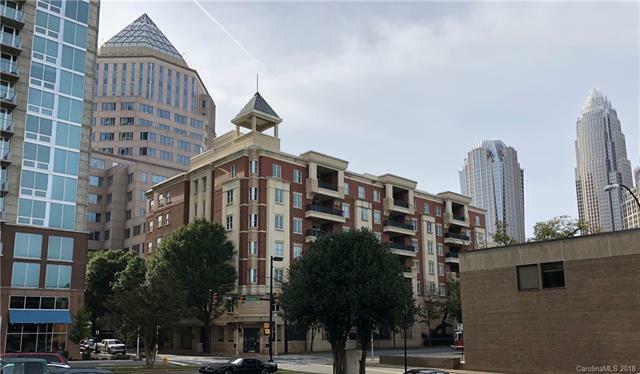 Nestled just inside of charming Fourth Ward with its walkable streets, cozy restaurants, casual brewpubs and burger spots and only one short block from uptowns North Tryon St. Chapel Watch is an Exclusive, Secure and Private Upscale Building. 524 is a SINGLE FLOOR 2000+ sqft corner unit with a very open floor plan and 9 and 10' ceilings. There is one large master suite and the second bedroom could be a master. The office/den could be a third bedroom. Bose surround sound is throughout and there is even a custom 1500 bottle "climate controlled" wine cellar. Enjoy the large family room with fire place and an outdoor patio. Formal Dining Room. Two secure deeded parking spaces, bike storage and a separate storage room on the same floor. Google Fiber available. Water remediation on opposite side of the building. Assessment being paid by present owner.